The examination of the interior design of Victorian houses begins first with the style of residence. The situation of a 19th century residence could be reduced to three classes — that of a town or city, suburban, and a country house; each of which had its own style of interior design. A residence in town was best for occupants who enjoyed public and private parties, theatres, concerts, balls, public libraries, and museums. A suburban residence, or one in the vicinity of a city or town, offered some advantages that could not be obtained by living in town. Because property was not as valuable as in town, many more conveniences could be acquired, such as a garden, and perhaps a field or two, attached to the house; and this additional space could be built upon in the future. Those who settled entirely in the country, at a distance from the city, were naturally deprived of many of those advantages of a town and suburban life. The varied amusements which a residence in town afforded were only enjoyed at long intervals. Let us take a typical Victorian house, the original residence of a family belonging to the upper middle class. What rooms will it contain? There will be an entrance hall, of course, dining room, living room, music room and morning room, master bedroom and two or three other bedrooms, a nursery probably, besides the kitchen and a bathroom. 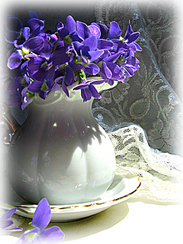 For the main rooms of the 1900 house, there are various alternative decorative methods available. Create beautiful window treatments with designs from the turn-of-the-century, indoor and outdoor wood blinds styles, and free stencil patterns for accents. Explore historic mansions featuring interior images, architectural drawings, landscape designs, floor plans, and history of the historic houses or take a Victorian house tour of the inside of a Victorian treasure. You probably have made rough sketches of the home you want to own—sketches that outline in general your rooms and design space, but which, due to your lack of experience in interior design, fail to show the detail to make your dream space come true. 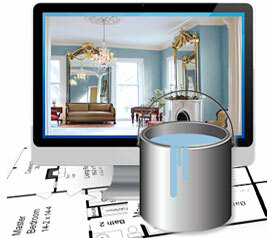 But with interior design software, every armchair decorator can create anything from a simple floor plan to straightforward blueprint style diagrams to multidimensional computer models—quick and easy. Victorian furniture was solid and lasting; chairs, chests, cupboards and bedroom furniture served several generations, and as each succeeding young couple took discarded pieces from the old home, and later completed their furnishing in newer style, the household goods became mixed. The larger and wealthier homes were furnished throughout in well-defined styles— some were retained in their entirety for generations and others were fitted up by successive owners. Explore styles of Victorian furniture including a collection of antique oak dressers with bevel mirrors and solid brass handles plus the classic Victorian sofa or settee. Also featuring Regency era furniture and window treatments from the early 19th century. Let us take a typical early Victorian house, the original residence of a family belonging to the upper middle class. What rooms will it contain? There will be an entrance hall, of course, dining room, living room, music room and morning room, master bedroom and two or three other bedrooms, a nursery probably, besides the kitchen and a bathroom. For the main rooms of the 1900 house, there are various alternative decorative methods available. Create beautiful window treatments with designs from the turn-of-the-century, indoor and outdoor wood blinds styles, and free stencil patterns for accents. Explore historic mansions featuring interior images, architectural drawings, landscape designs, floor plans, and history of the historic houses or take a Victorian house tour of the inside of a Victorian treasure. Late 19th – early 20th century indoor lighting included four forms — candles, oil lamps, gas, and electricity. Lighting fixture design was in keeping with the general decoration and outfitting of the room. Typically only in the hall, dining room, and living room was there a great concern with decorative Victorian lighting. Elsewhere the question was largely one of practical use, although style and design were not completely ignored. 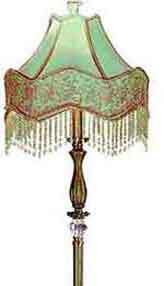 The style of Victorian lighting for the dining room table and library table was some form of drop light, or chandelier. For general lighting, wall sconces, lanterns, or brackets were preferable. Learn how to light a Victorian house. Artistic Victorian lamps and fixtures, such as Rochester Brass Chandeliers, were found in many stately Victorian homes. Recreate a turn-of-the century feel with vintage brass chandeliers that have an old Victorian look to them. Restoring a period home? Explore antique wallpaper and Victorian wallpaper designs for an entrance hall, dining room, living room, morning room, bedrooms, nursery, and kitchen. Are you a DIY decorator? Learn how to choose the best wallpaper designs for your home with a few easy steps. Walter Crane and William Morris patterns are available. Crane was an ornamental designer and decorator and is noted for his Arts and Crafts wallpaper designs. 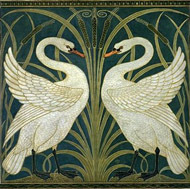 Walter Crane designed exquisite patterns of wallpaper, some which are still reproduced today to decorate homes. Love the vintage look? 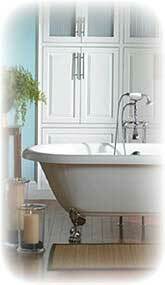 The vintage bath design of the early 1900s has never been more popular. The 1900s had luxurious bathroom fixtures. Compare the original bathroom fixtures of the 1900s with today’s to recreate an authentic vintage bath or Victorian bathroom design. In the early 1900s, vintage bathroom fixtures became so elaborate in number and quality, that the conveniences home owners had in their bathroom were limited only by one's purse. Transform your bathroom with a vintage tub. Complete yourbath remodel project with one of the many styles of vintage tubs to choose from -- dual, rolltop and slipper models. Free online bath design ideas & tips for a do it yourself remake of your bathroom. Create the perfect garden. 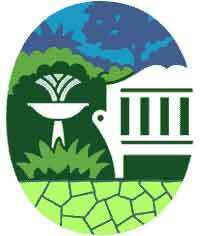 Find information on garden accessories, garden decor and garden design. Also, tips for creating and maintaining an outdoor garden and how to create a Victorian indoor garden or terrarium. Plus explore British gardens, Victorian greenhouses, outdoor aviary, and walled gardens. Seating arrangements add coziness of an indoor living-room to the charms of a Victorian style garden. Decorate your outdoor living area with wrought iron patio furniture styles from the past. Enjoy whimsical outdoor Victorian playhouses including outdoor playhouse plans and architectural drawings. Antique clocks including wall clocks and Howard clocks and fabulous carriage clocks are showcased. Antique decorative carpets and area rugs including an 1841 ingrain woven carpet from Ithaca New York. Most houses were built with a linen closet to show the piles of sheets, pillowcases, and towels, as well as the table linen - learn how to furnish the linen closet. Read about vintage prints and vintage French Posters by Arsene Alexandre, antique golf prints of golfing scenes from the late 19th century, and the history of antique fashion prints from the 18th century and the 19th century. Compare your collection of silverplate serving pieces with authentic antique pieces. Hardwood flooring in oak, maple, cherry, ash, birch, Brazilian cherry, and walnut hardwoods was popular in Victorian homes. How to make pillows for your new design space? We have free Victorian needlepoint pillow designs to get you started. Moreover, decorative throw pillows can be inexpensively crafted from small amounts of materials, including remnants of lavish fabrics, then embellished with an array of trimmings from ribbon and tassels to beading and buttons. An image of Queen Victoria’s dog, ceremoniously lying upon a cushion, was a popular needlework subject throughout her reign. You can create “royal” decorative pillows, piano stool or footstool cover from an authentic design published in an 1861 lady’s magazine.